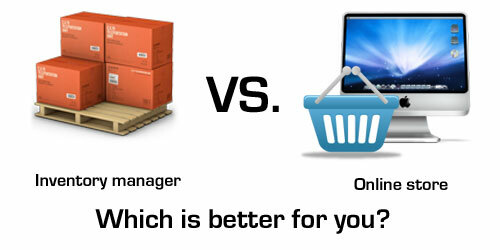 At first glance, you might think that an inventory manager and an online store are the same thing. So, what’s the difference? At TWG, we offer both of these options for you to sell products on your website. An inventory manager allows you to upload all of your products into different categories to display on your site. You can enter the product name, price, description and images. It is a great way of display your products and availability. The inventory manager helps customers do research online before they come to visit you. With an inventory manager, your customers cannot actually purchase your products online. They will be directed to contact you to order a product. This application is typically ideal for businesses that do not have a huge inventory, or for those who are not ready to sell their products online. On the other hand, if you have a larger inventory or want the option to sell your products online, then you may get the most benefit from an online store. Our online store can handle a larger quantity of products and gives your customers the option to order directly on your website. Having an online store provides you the opportunity to not only make your products or services available to the global market, but also lets your customer choose when to shop and pay online 24hrs a day, 365 days a year. We can work with you to evaluate whether our inventory manager or an online store is the most ideal fit for your current needs. Do either of these options sound like something you may need to jump-start your business sales? TWG can help you determine which of our systems is better for your business. When we think of a blog, we may not immediately consider the many benefits of its use from a business perspective. Blogs, though, when used for their true purpose, are quite the useful business tool. A blog is an endless opportunity for your business to engage, interact, and inform your website users and viewers. Most feature RSS feed capabilities, so people can subscribe to your blog. Additionally, some design studio’s, TWG included, can set-up a website blog to auto-feed other social outlets. A blog is a great addition to your business website, because it is a reason for users to return to your site; it can streamline information-sharing through auto-feeds and RSS capabilities, and it provides you with the ability to continually and regularly put new information on your website. But how can you really use your blog? Your blog can be used in whatever method you can imagine. Would you like to use it to broadcast specials, promo’s, and deals? Start announcing! Would you get more benefit from sharing information with your website users? Inform and Educate! Perhaps, you would like to focus your energy on interacting with your consumers? Pose a questions, game, contest, etc. 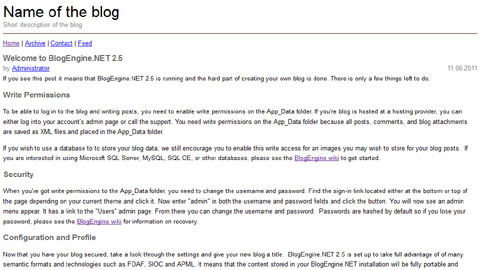 and enable your blog comments! Whatever your business needs---a blog is an all-encompassing feature that allows you to share content, images, and links to other websites, articles, or video streams (what a great way to link to your business Vimeo or YouTube channel….). The beauty of the blog is truly in the eye of the beholder. 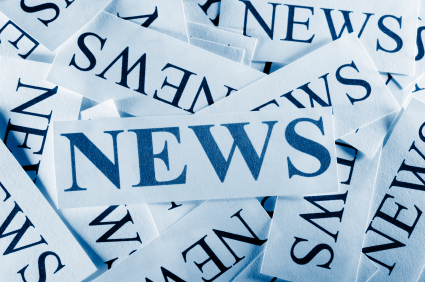 Use it to link to third party sources for information and updates, or to link to outside means for your business. Use it to share internal company information. Use it to share images and descriptions of public functions. Use it to engage your client-base. The key point: use it. Your blog can be whatever you make it—you just have to make it something! Do you take a lot of photos for your business or organization? Would you like to be able to share those with others easily? 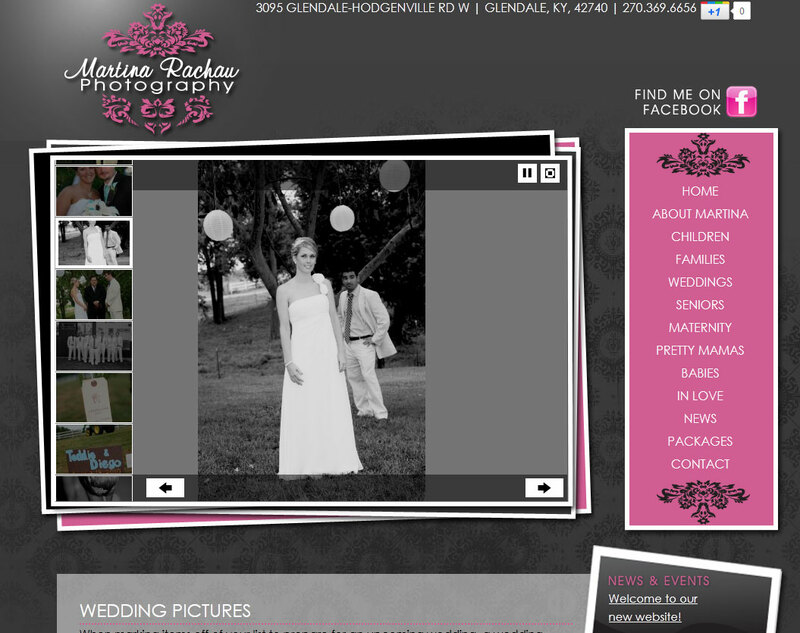 Then you need a photo gallery on your website. This feature allows you to share your photos in a gallery directly on your website where anyone can view them. You can separate your pictures into categories or events, and you can upload as many as you like! If you already have a photo gallery on your website, are you using it to its full potential? Upload your photos often. Doing this will draw people back to your website again and again; leading them to explore other areas of your site with each visit. Your photo gallery can be set up with categories for event pictures, projects, photography, community images, or almost anything else you wish to share. So get out there, take pictures, and share them for all to see!